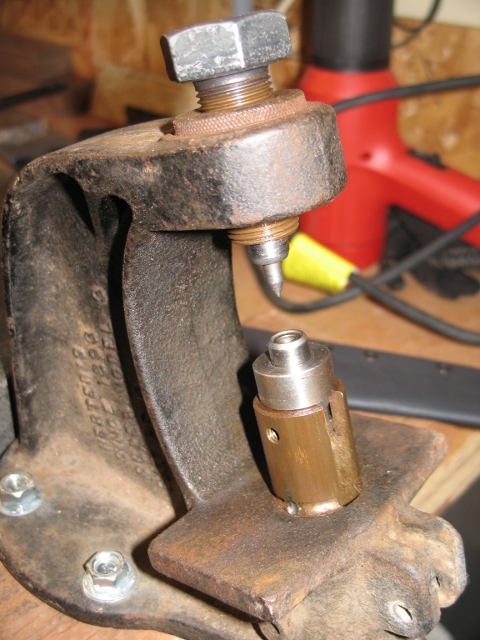 This is the press I use to set the rivets when building Kydex thermoplastic sheaths. 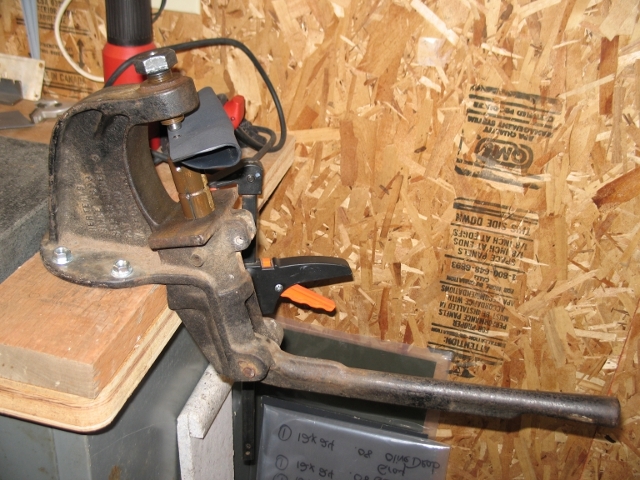 A friend helped me modify an old Herters bullet reloading press (found on a street corner on trash day-Thanks, Nathan!) to accept the rivet dies.